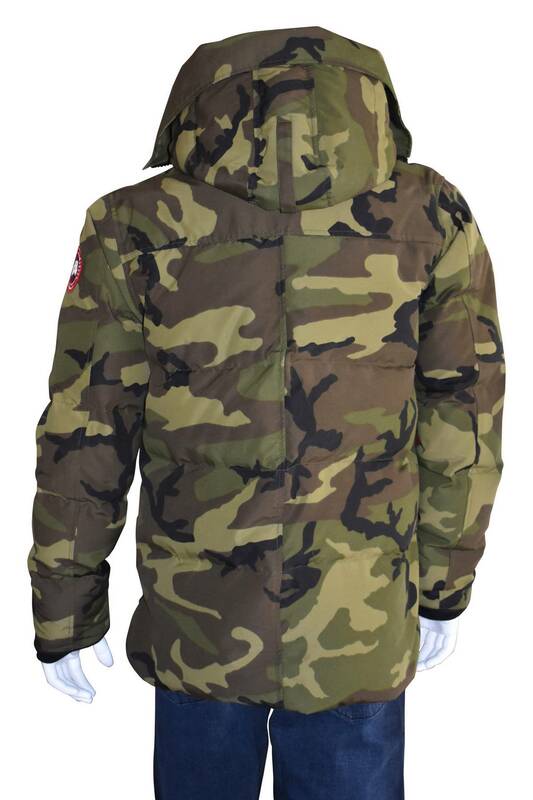 Canada Goose Macmillan puffer parka coat in camo green. Hooded collar and snap placket with hidden zip closure to front. 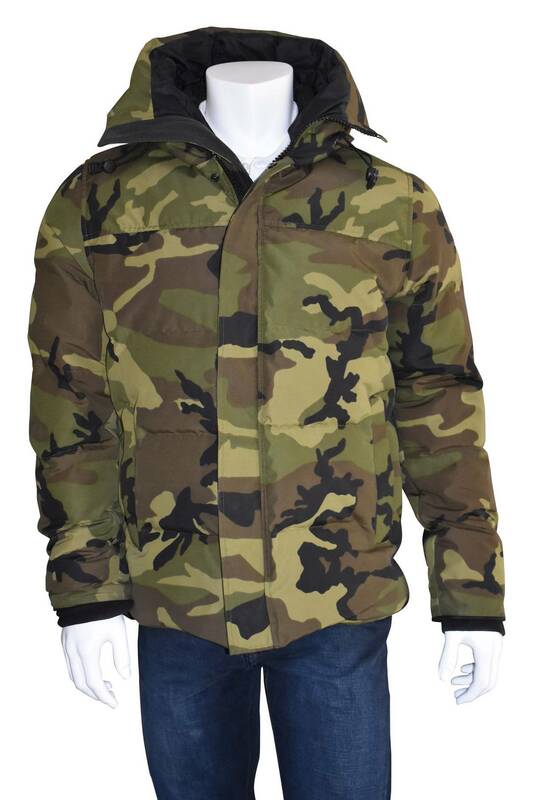 Logo patch to left shoulder and vertical front slip pockets. Shirt-tail hem. 625 fill power white duck down. Fabric: 85% polyester, 15% cotton. Lining: 100% nylon. Filling: 100% down.